Temporomandibular joint disorder (TMJ or TMD) can result in a number of uncomfortable symptoms, but among the most painful and widely reported indicators of TMJ/TMD are intense, recurring headaches often described as migraines. Hayward dentist Dr. Gary G. Fong has helped a number of patients find relief from TMJ/TMD. If you suffer from headaches along with other vague symptoms that may include jaw, neck and shoulder discomfort, please call 510-582-8727 to schedule your personal consultation; Dr. Fong welcomes patients from Hayward and the surrounding Castro Valley, San Leandro and Union City areas. The connective region between your mandible (lower jaw) and skull contains a sensitive network of joints, muscles, nerves and other components. Among this network are the temporomandibular joints, from which TMJ/TMD derives its name, and the trigeminal nerve. The trigeminal nerve is responsible in part for registering sensation throughout your face. Dental problems such as a misaligned jaw or bite condition, as well as poor oral habits like teeth clenching or nail biting, can cause excessive stress on the temporomandibular joints, trigeminal nerve and other corresponding components, resulting in shooting pain and other uncomfortable symptoms throughout your face and extending into your back and arms. For additional information, please see our TMJ Symptoms page. Temporomandibular joint disorder, and its taxing symptoms, can often be treated with custom-made nightguards that hold your mandible in its comfortable, natural resting position as you sleep. These oral appliances are somewhat similar to sports mouthguards and are crafted to fit your unique bite; over-the-counter models can actually incorporate a bad bite into them. Patients who have TMJ/TMD related to more advanced bite conditions may benefit from another treatment, such as ClearCorrect. 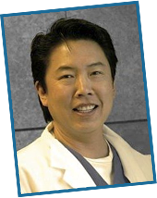 Dr. Fong will discuss your individual treatment options with you in detail. To learn more, please visit our TMJ Treatment page. If you suffer from chronic, migraine-like headaches that have otherwise defied diagnosis, please contact Dr. Gary G. Fong today to schedule your TMJ/TMD consultation. Dr. Fong is proud to serve patients from the greater Hayward, Castro Valley, San Leandro and Union City areas.